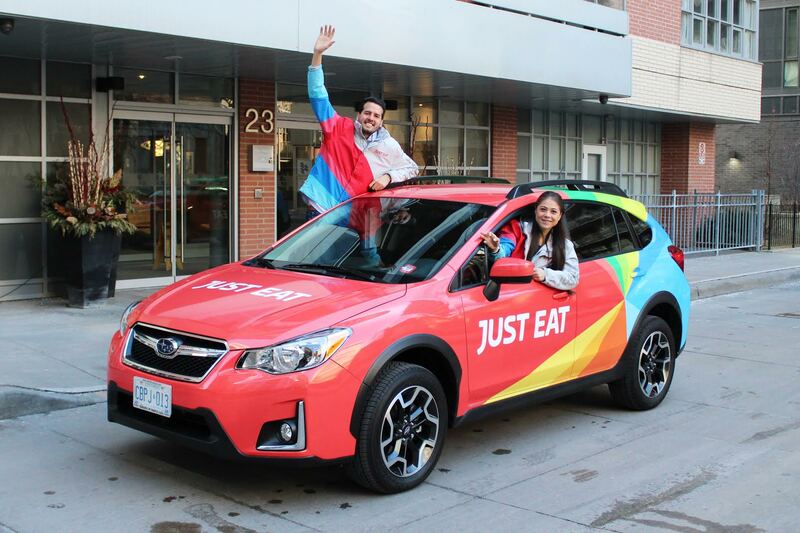 Just Eat Canada was established in 2009, and provides delivery in more than 250 cities, offering more than 4,500 restaurants nationwide.With a 30% year-on-year growth, we are a force to be reckoned with! It genuinely feels like you’re coming into work with a group of friends, there’s a fantastic relationship between all senior staff and grads. "We hire smart, determined and dedicated people, and we favour ability over experience. It’s not about what you’ve done but what we think you can do. When we know everyone is moving in the same direction, passion is a natural byproduct of this. We care for our team and our team care about what they do. Not only is Just Eat a strong presence on the web, on mobile phones, on billboards and on your delivery orders, we're also tearing up the streets! Our Full-wrapped Subaru Outbacks are cruising the streets in Toronto, Montreal, Vancouver, London and Kitchener-Waterloo. If you see one, give us a wave! Interested in joining our ever growing family?